They should be marked R1-528 (ET17) or R1-561 (ET30): both ET's appear to work on 2002's. That's a great bit of information! Like you've likely read before I have two sets of 13x6 et30, one from '74 and another '80, but I have one odd 5th wheel in the lesser offset. It doesn't have any direct etXX number like the et30 of my others. Now I can compare your numbers above to bee sure if it's an et17 or other. Oh, and of course I'll let everyone know if my odd 13x6 CMR wheel is anything other than et17 (I.E. what the R1-5xx number is). Thanks, Tom. Yes, your 2 sets of ET30 rims were already in my database with their respective dates. I'm going to assume they are R1-561's unless you tell me differently. And I'll bet your "other" rim is a R1-528. Maybe you can also check the date on that "other" rim? Those wheels are the very ones I picked up from you in Niagara Falls in 03. Paul's '73 donned another set. Is there any possibility you can read the other stamped data -- manufacturer, size, model number -- on your best version of this photo (of the 12/67 Alpina rim)? I found this citation in an FAQ entry by stempsy, dated 8-16-09, titled "[Wanted] 6x14 alpina steel wheel..."
I'm confident that one or more of this forum's readers can easily confirm -- by memory or a walk to their garage -- whether their NK Alpina steelies are "Lemmerz" or other. NK wheels, i.e., anything larger than 13" wheels, are beyond my present scope but my present data collection effort demands that I evaluate examples rather than simply assume they are 02 wheels. Thanks for your time and all your input and photos! 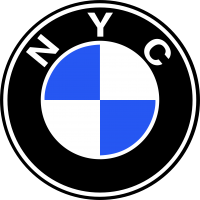 Edit on 7-4-12: Subsequent to the above posting of June 23, I found three unambiguous references to NK Alpina steelies, all confirming examples of Lemmerz-manufactured rims, model number "1407," marked "Alpina," and in the 6x14 size. 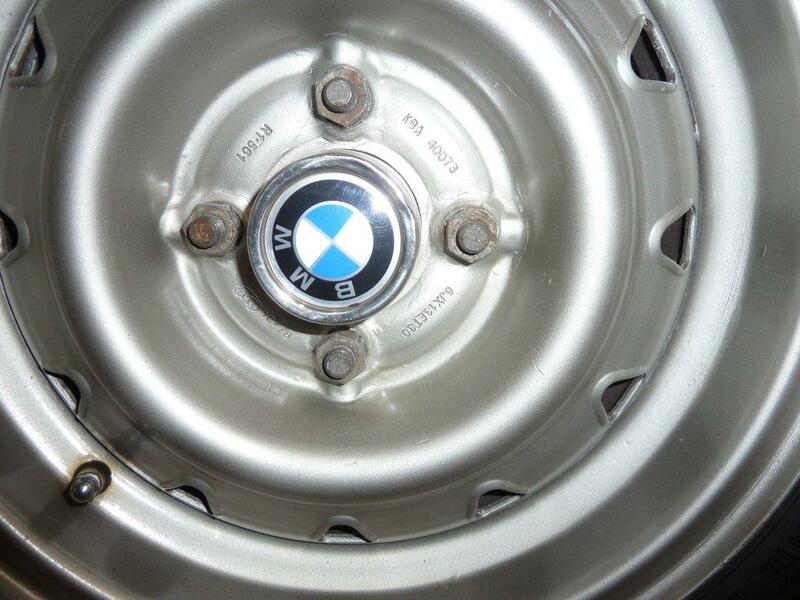 While this leads me to believe that the above rim (in the photo) is likely to be 6x14, it does not necessarily prove that these early Alpina rims, by Lemmerz, were manufactured solely in the 6x14 size. Although these Lemmerz-manufactured (i.e., non-CMR) rims were not the subject of my initial data gathering, I am currently collecting what I am able to regarding them just in case they were manufactured in a 13" size for 2002's. Stated differently, could Lemmerz or another company have manufactured Alpina steelies for 2002's before or even after CMR began production of them? Or is history as simple as: NK Alpina steelies were manufactured by Lemmerz and 2002 Alpina steelies were manufactured by CMR? What does KBA 40073 mean? Thank you, Karl. That's just what I need. I don't yet know the answer to your "KBAXXXXX.." question (Edit: see bottom of this posting for more info). I've thus far only seen it on the latest wheels -- '78 and later. I have some suspicion it relates to German TUV standards, perhaps one of our European contributors can confirm or deny that suspicion! Edit on 7-19-12: KBA stands for Kraftfahrt-Bundesamt, which is the German Federal Motor Transport Authority. Among other things, the KBA approves aftermarket vehicle parts. The KBA number is a five-digit number: for rims it begins with a 4 as in "4xxxx"; for steering wheels it begins with a 7 as in "7xxxx". The numbers following the initial number appear to be merely sequential, based on the date of submission or approval of the application. This doesn't address why I have only thus far seen KBA stampings on '78 and later wheels -- perhaps the stamping requirement was new at that time. Thanks for the info! It's great that you're pulling this together. c.d. 's post reminded me that I have some info that came with my wheels. Here's the first page of the Miller & Norburn sales flyer. I can email the full pdf (7 pages) to anyone who is interested. Thank you, Karl. That's just what I need. I don't yet know the answer to your "KBAXXXXX.." question. I've thus far only seen it on the latest wheels -- '78 and later. I have some suspicion it relates to German TUV standards, perhaps one of our European contributors can confirm or deny that suspicion! Edit: KBA stands for Kraftfahrt-Bundesamt, which is the German Federal Motor Transport Authority. Among other things, the KBA approves vehicle parts. This doesn't address (1.) whether there is a "meaning" to the numbers following KBA or whether they are simply sequential for items being examined by the KBA, or (2.) why I have only thus far seen KBA stampings on '78 and later wheels -- perhaps the stamping requirement was new at that time. I get such a thrill when I see these 40-year-old prices. I think, just for a second, that I can afford these goodies...4 Campy's at $62.50 each? Sign me up! And that 7x13 Campy, at $125, is twice the 5 1/2" Campy (and at least six times a stock, ca. 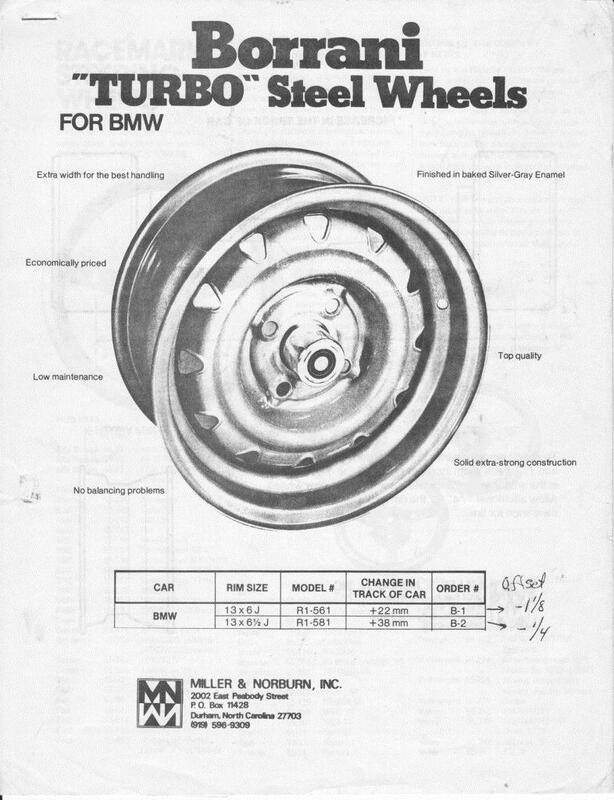 1973, OEM steel rim)! Do you have a date for the last sheet you've reproduced, the last Campagnolo, Abarth, Faza ad? Not only does it show a listing for "A)--Boranni [sic] 5 1/2x13" Steel--1/2" outset," and the price, $26.50, but it illustrates a round-hole wheel -- we'd probably call it an Alpina -- under the Borrani name, FWIW! This ad appeared before in the forum -- you may well have posted it -- and I didn't know the source. And I used it as another confirmation of the model numbers for the 6x13 ET30 (R1-561) and 6.5x13 ET8 (R1-581) wheels. I thought it might be a whole-page ad from the Roundel but I couldn't find it there. This clears up my source question! Do you happen to know the date of the flyer? Email sent - document attached. Here's pictures I took this weekend of my 5th Borrani, the one with the deeper offset. Thanks, Tom. I've added it to my database of dated examples, which I'm planning to summarize next week when I'm back home. I appreciate that someone is recording this information. Maybe it will assist a new generation of 02 owners.